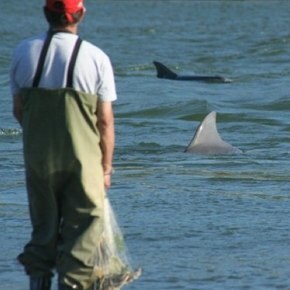 In Laguna, Brazil, the local fishermen rely on dolphins to help them with their yearly fish catch. Scientists had known that dolphins work together to herd groups of mullet, a fish that’s an important source of food for local fishermen. Then the dolphins signal with specialized head or tail slaps when and where the fishermen should throw their nets.